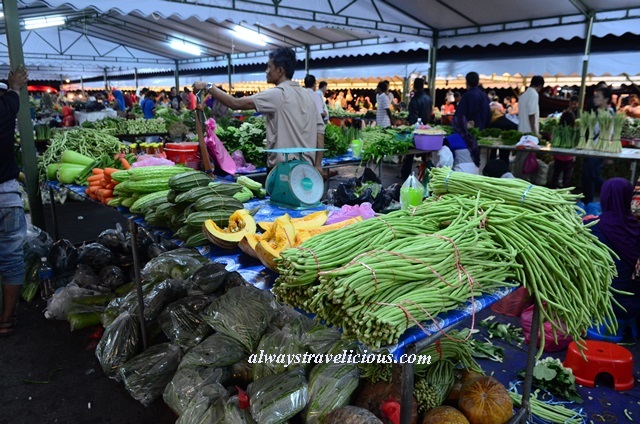 Sinsuran Night Market @ Kota Kinabalu, Sabah, Malaysia - Always Travelicious ! 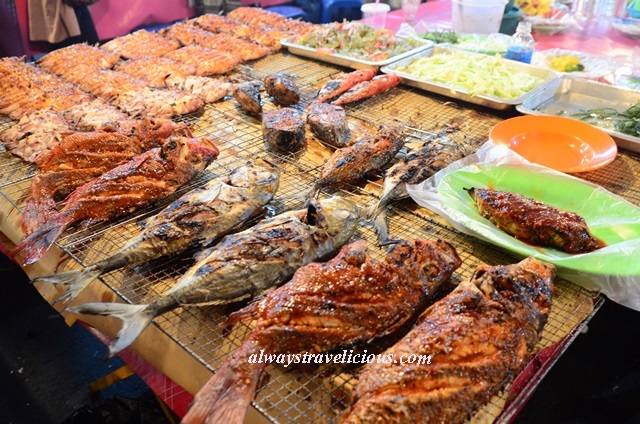 Eating seafood at the Sinsuran Night Market @ Kota Kinabalu is a dream come true for seafood enthusiasts. 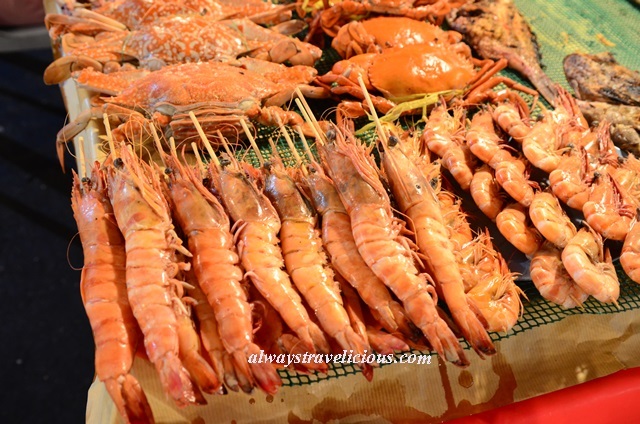 At this seafood paradise, you’ll find lobsters that are three times the size of my hand, luxury groupers that cost only a fraction of the price compared to West Malaysia, exuberant crustaceans and fantastic grills to mention a few. 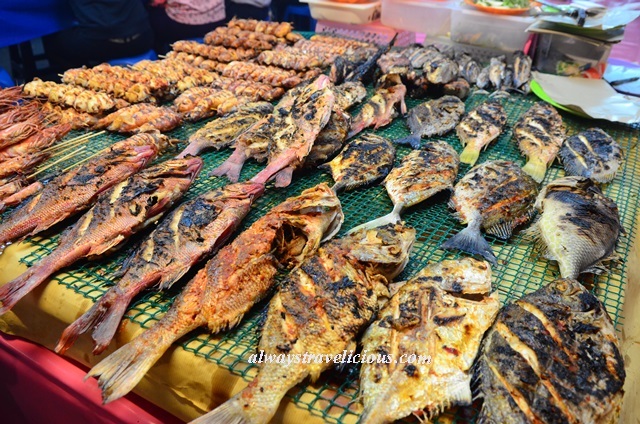 A section of the market displays an array of ready -cooked seafood; mostly grilled. 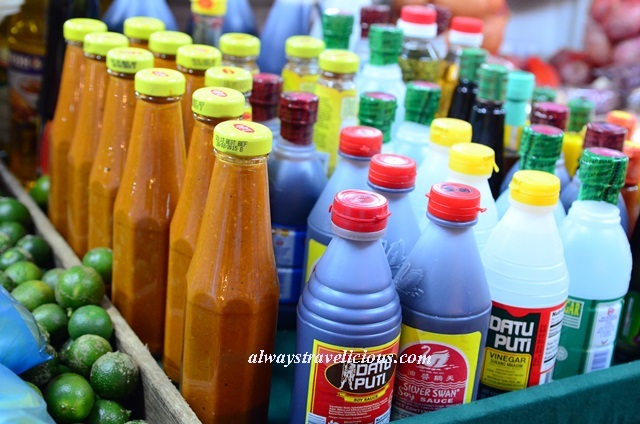 Just point to one that you fancy and your dinner will be served right away. 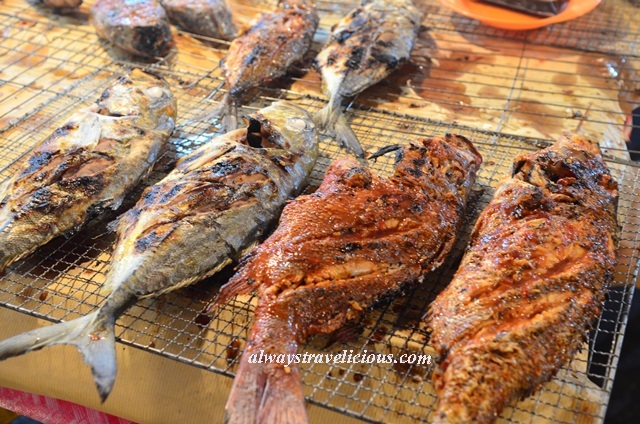 You can also opt to pick your own seafood and choose your method of cooking, in which we did. 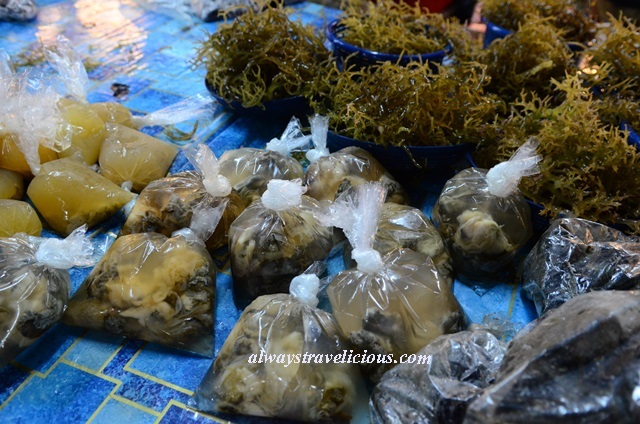 Our fantastic dinner with 2 groupers, 1 tiger prawn and 2 plates of seaweed salad was less than RM 100! The 7-star grouper’s texture was heavenly ! 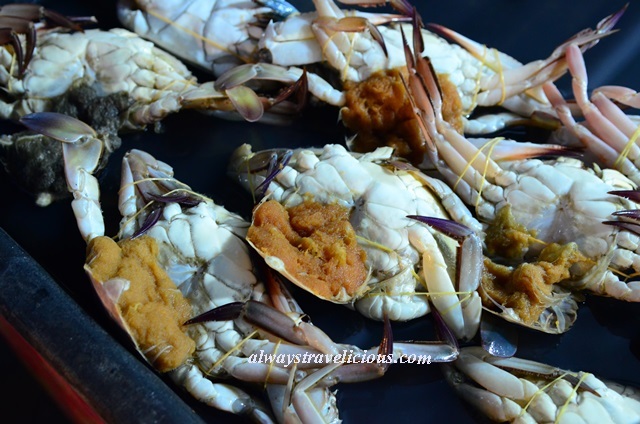 Ultimately tender and fleshy, it was a real treat for us because it is something that we almost never eat in West Malaysia because the cost is simply mad. 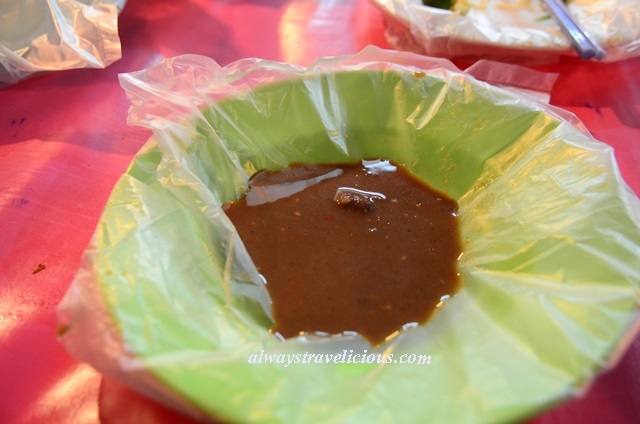 We actually requested for ‘kosong grill’ but the vendor grilled with some sauce. 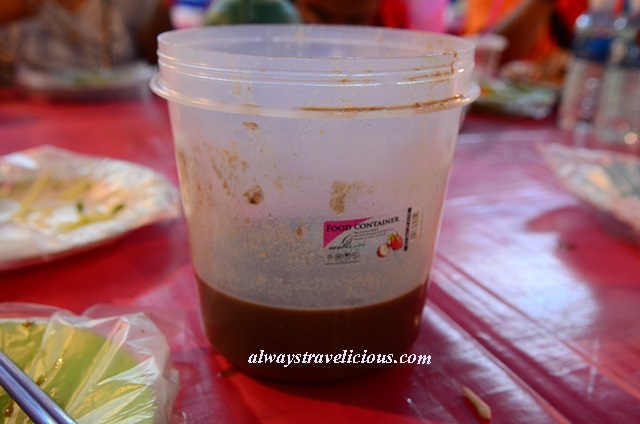 The sauce was spicy and tangy but it did mask the natural flavors of the fish a little bit. 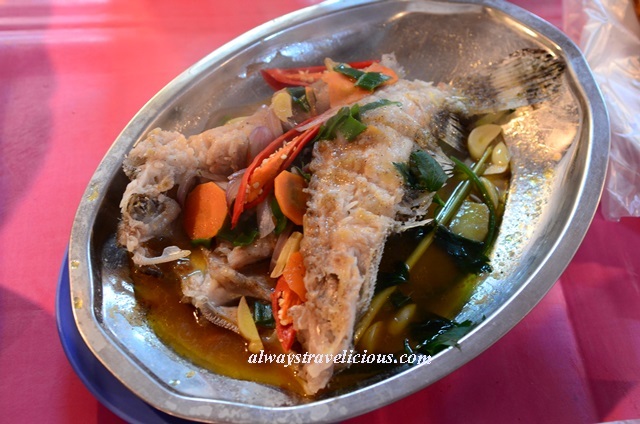 The tiger grouper was another delight – wholesomely steamed with ginger and accentuated with a dash of lemongrass. 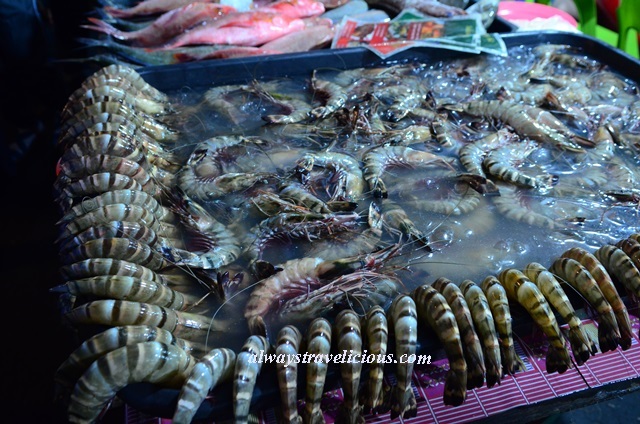 We gobbled this piece of tiger prawn that’s as almost as big as the plate in no time. 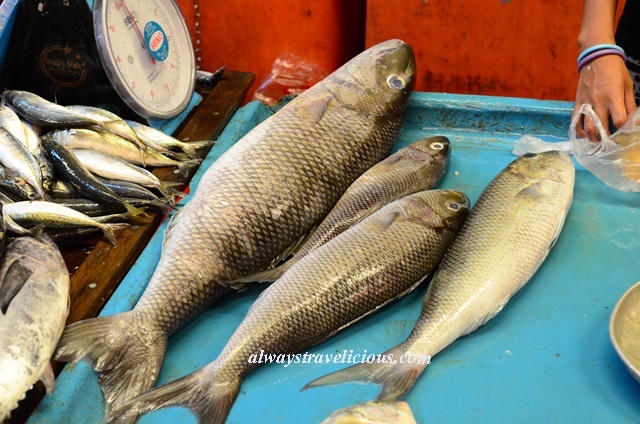 It’s not all seafood at the market. 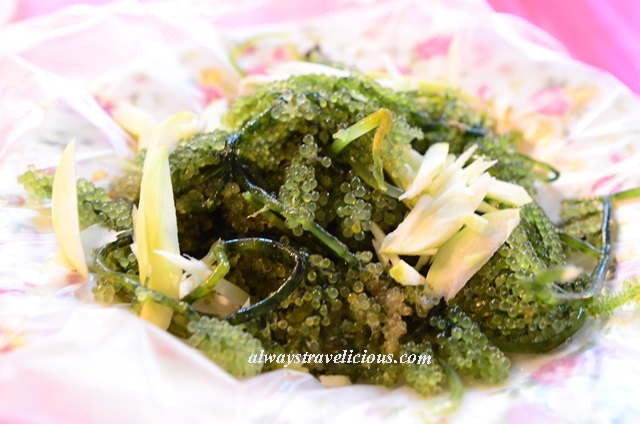 Try this amazing seaweed salad. 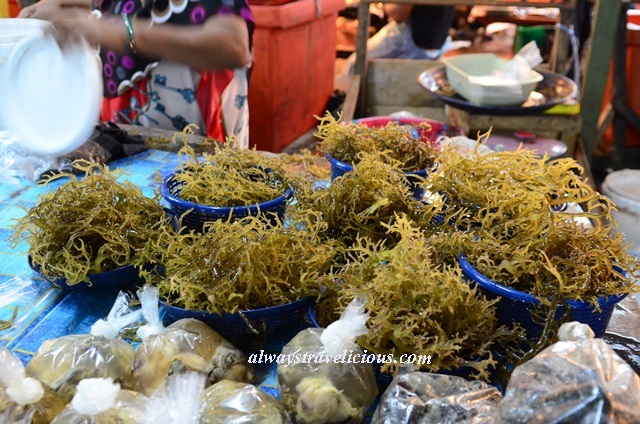 In particular, the tiny little green rounds of seaweed offer spectacular flavor and texture. 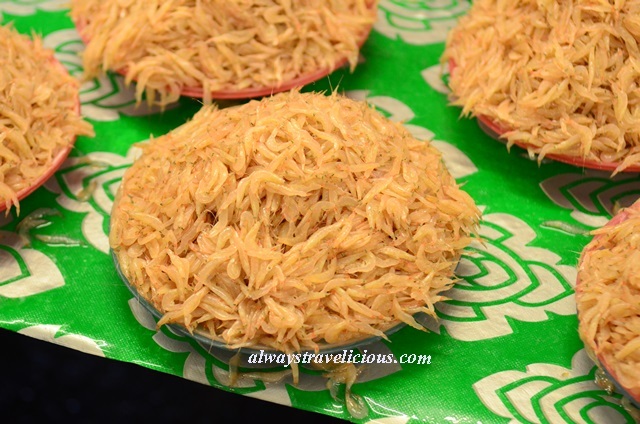 The size is in between salmon and shrimp roe; while the taste resembles salty salmon roe a little too. 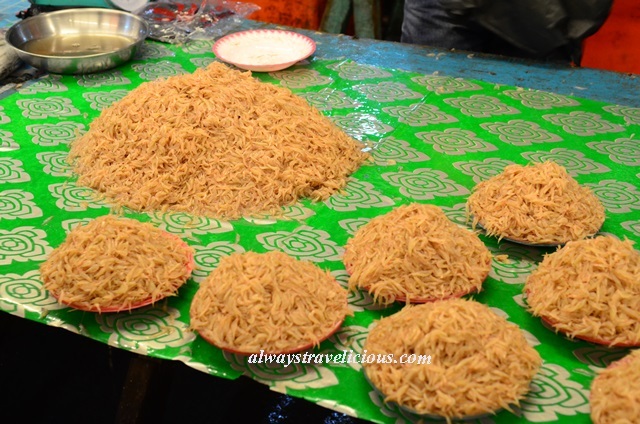 With every bite, the jaded little beads burst into flavors as if to remind you its origin from the sea, which all end up in a final phase of gooey fibrous material as you chew them down. 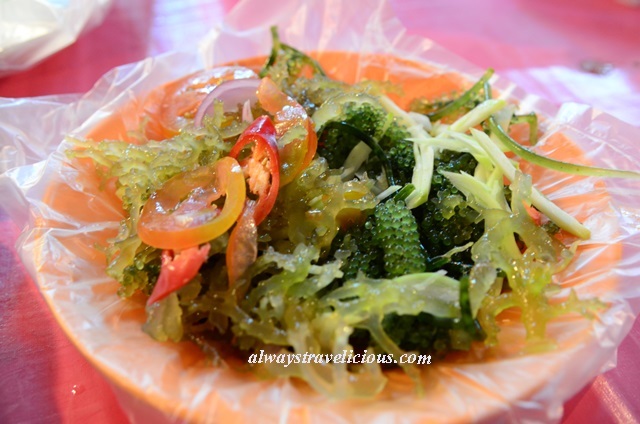 The seaweed goes best with this balachan-lime dressing, which literally comes in buckets. 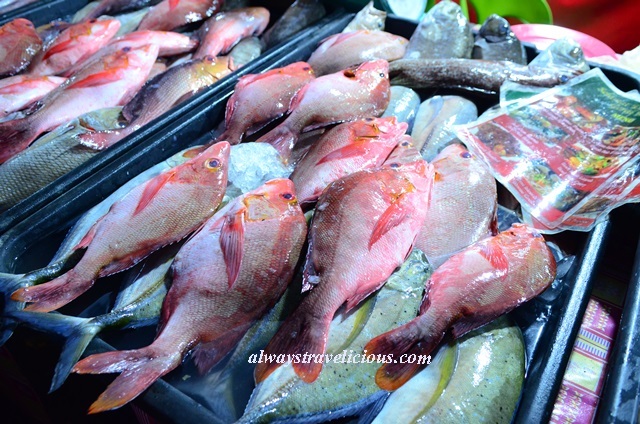 There’s also a wet market section with vegetables and raw seafood. 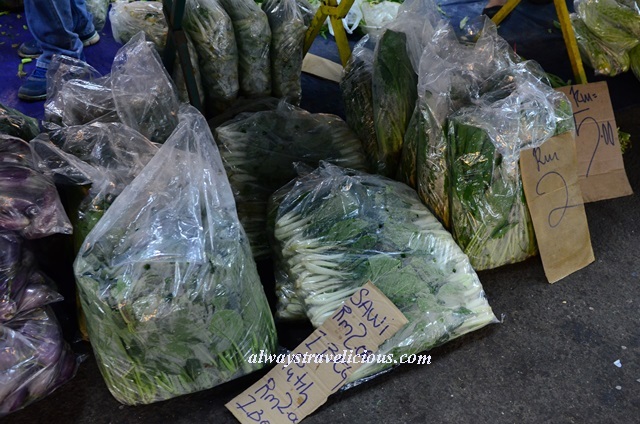 Vegetables are sold in gigantic bundles. 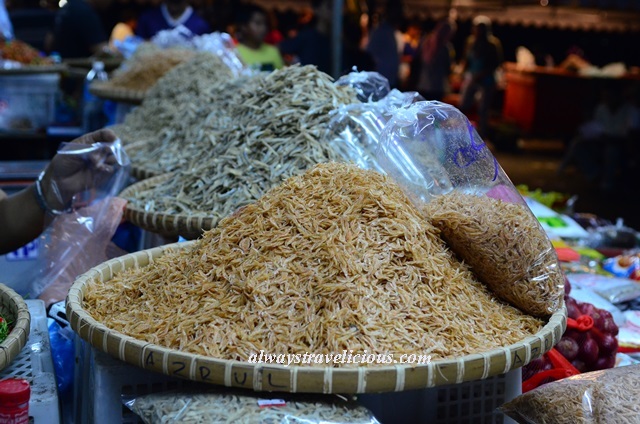 You think RM 2 for this 1KG bundle is cheap ? Think again. 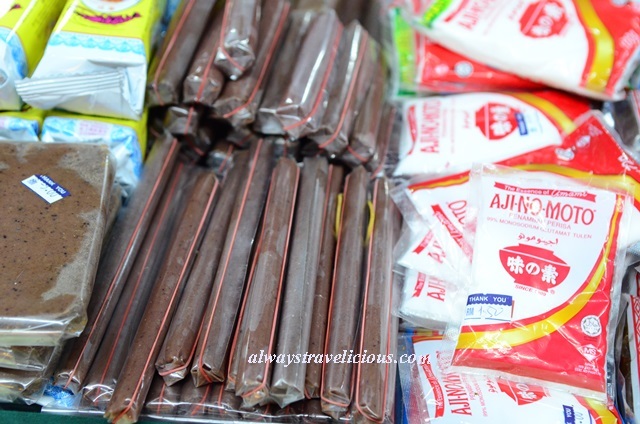 The stall next door sells it for RM 1. 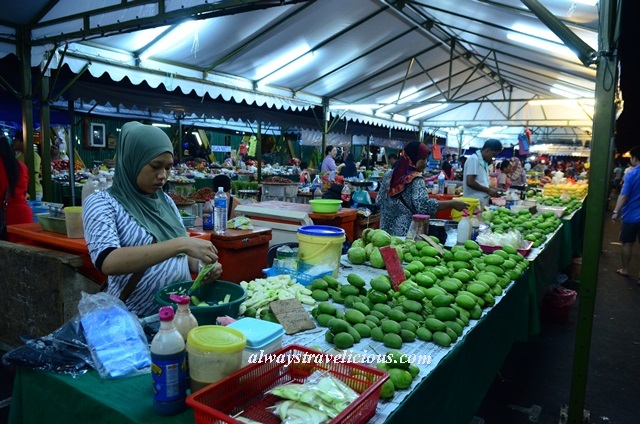 Can you imagine RM 1 for 1 kg of vegetables? No doubt competition is steep here ! 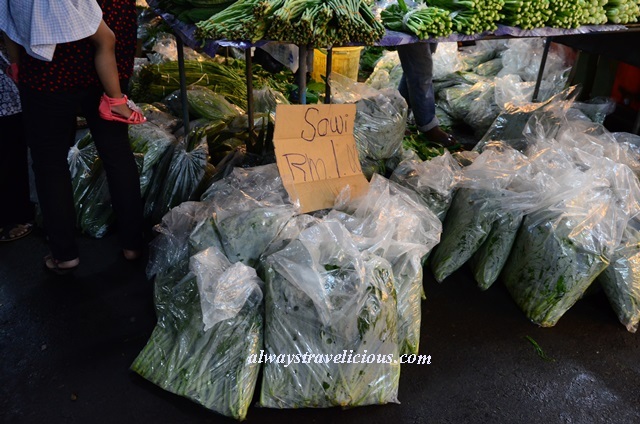 Sotong too is RM 1 per kg !!! 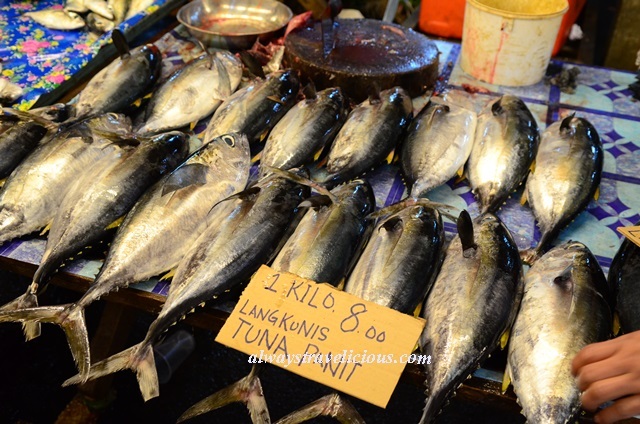 And tuna is only RM 8 per kg !!!! 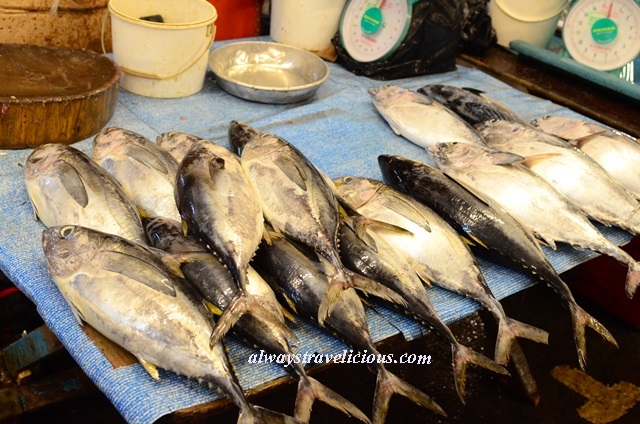 I’ll be eating tuna everyday if I were to live in Kota Kinabalu !